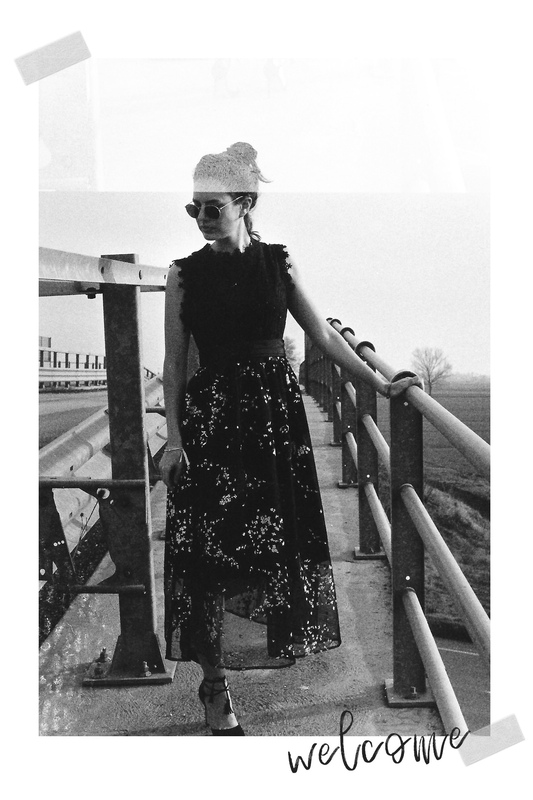 I am the queen of the 90s: I love this decade maybe because I was born in it or simply because I love their attitude…and here I show you some little pieces for a perfect grunge look even in summer. It is real summer here in Italy. Humid, hot and very sunny. I don’t know why but apart for bright colors in the day, when the sun sets down I only feel like wearing dark colors again. 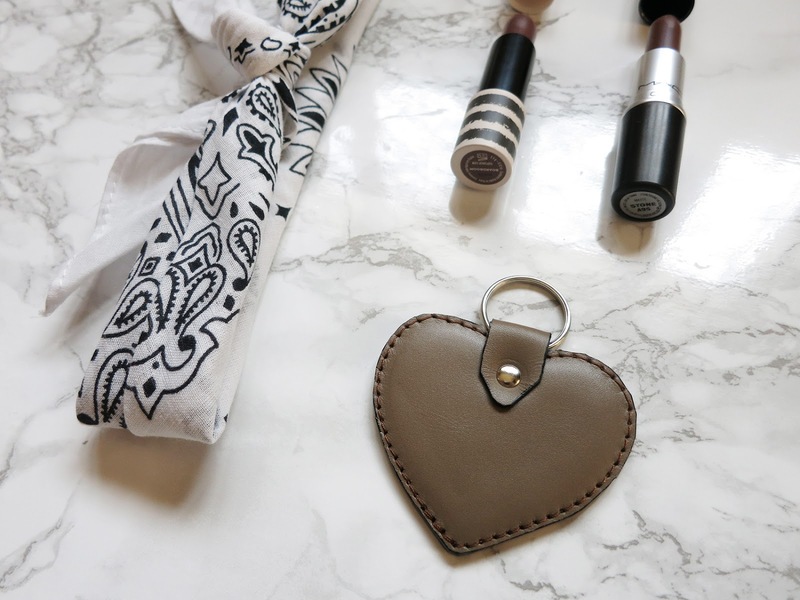 I got to choose a nice leather piece from this new brand called DS London* and I was interested in this really handy keyring in the same color of my favorite lipsticks of the moment. Coincidence? I don’t think so. If you are curious they also have very classic bags, wallets and card holders all made of leather and you can also customize them with your initials. Keep reading for an interesting gift at the end of the post. 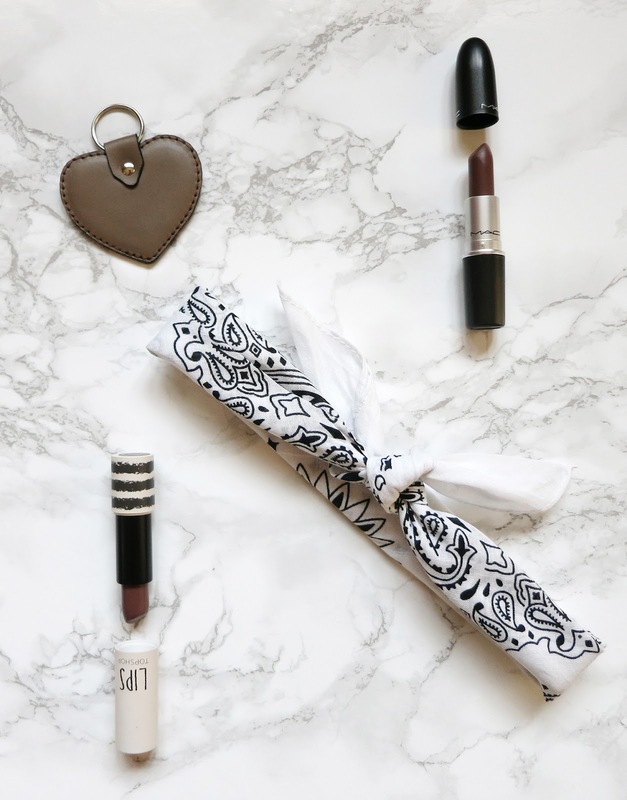 So apart for the biggest accessory of the moment, the bandana (this one is from Primark (1,50£) but you can find it anywhere; don’t tell me you haven’t worn it on your neck yet! 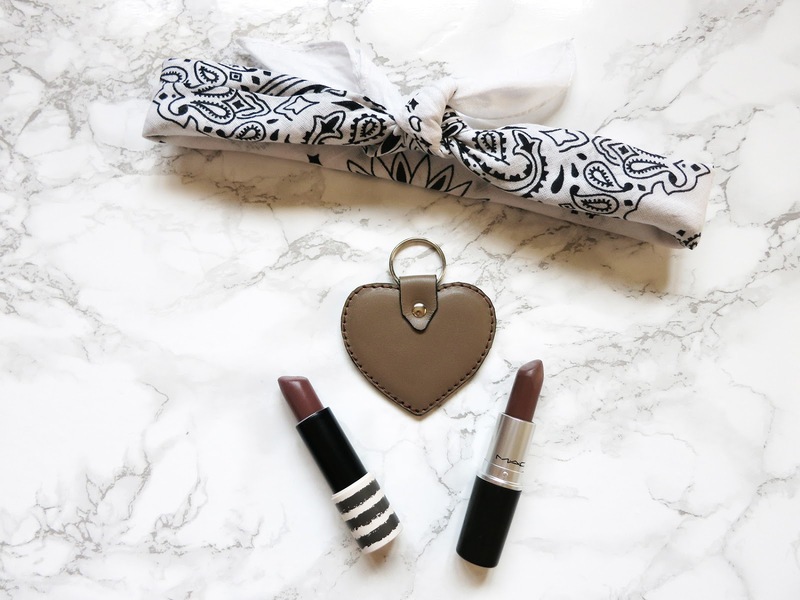 ), there are two lipstick products that I am seriously in love it. First one is Topshop Boardroom (8£) which is a dark purple/grey very soft and smooth on the lips. It is so easy to wear even though it is slightly dark. You don’t look dead with it, not even a zombie but instead you look like a real cool 90s grunge girl. The second one is MAC Stone (15£). Omg. This shade is a dark matte grey, meaning not so smooth on the lips and it doesn’t fade but it sticks pretty intense. If you like daring a little, this is a step above Boardroom. If Boardroom is slightly more subtle, Stone is not. I love them both; equally. I don’t have pictures of me wearing them but it is the same color of the keyring on my lips! And speaking of it… you guys have the opportunity to have 10% off using the code: CP10. It feels small but DS London* is a new accessory brand and they are starting out so even a small help is appreciate it. Do you like the 90s look?